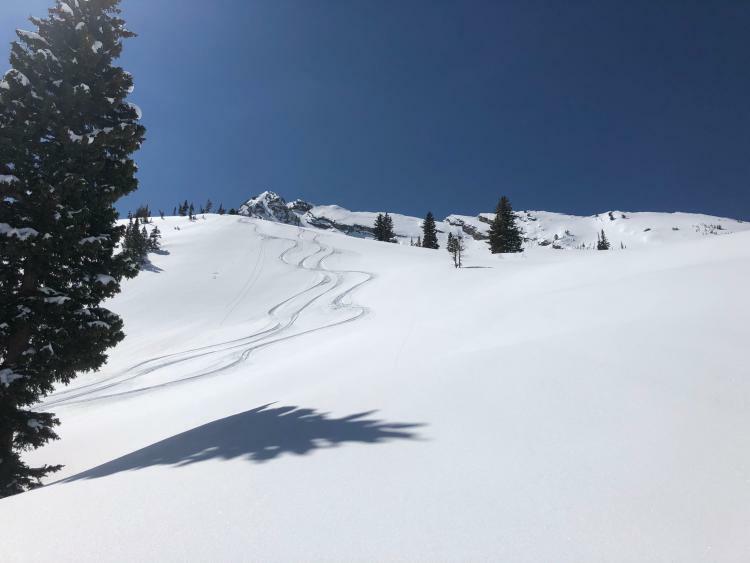 I had a big day in the Wasatch backcountry Sunday, March 31, 2019.....some aspects the enormity of which are only becoming apparent to me as I struggle to compose this piece, days later. The day was not exactly unexpected, or shouldn’t have been, but it was surprising...and fascinating, and fulfilling, and enlightening. So many things, really. 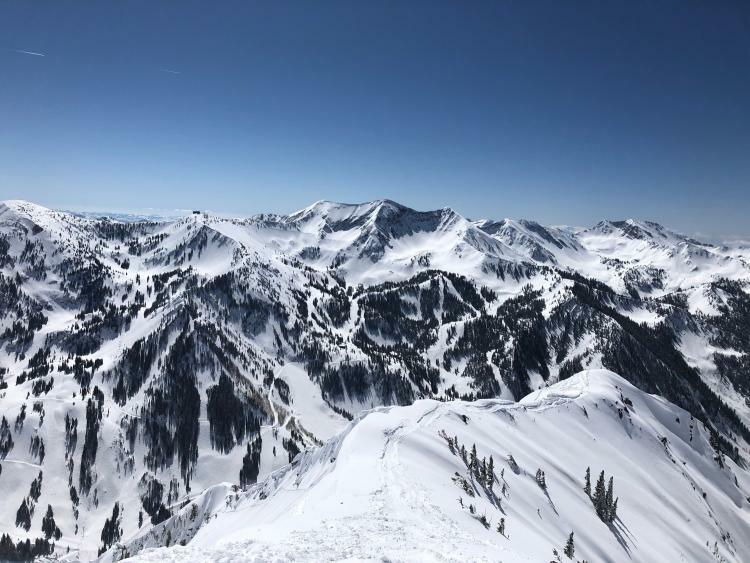 Since my experience I’ve read a little more on the classic Wasatch objective that is Mount Superior. At first I read pieces where outdoor enthusiasts waxed poetically about their experiences. The planning, the execution, the successes and often failures, the struggles of body, mind, and spirit thrown against towering snow covered granite and the elements. I read them and, initially, I rolled my eyes. After all, it’s just a day in the mountains, right? We’ve all done those countless times. I rolled my eyes, but I read more, and I began really reflecting on my particular experience. I began reconciling my experiences with those of others. I began thinking about how I got there. 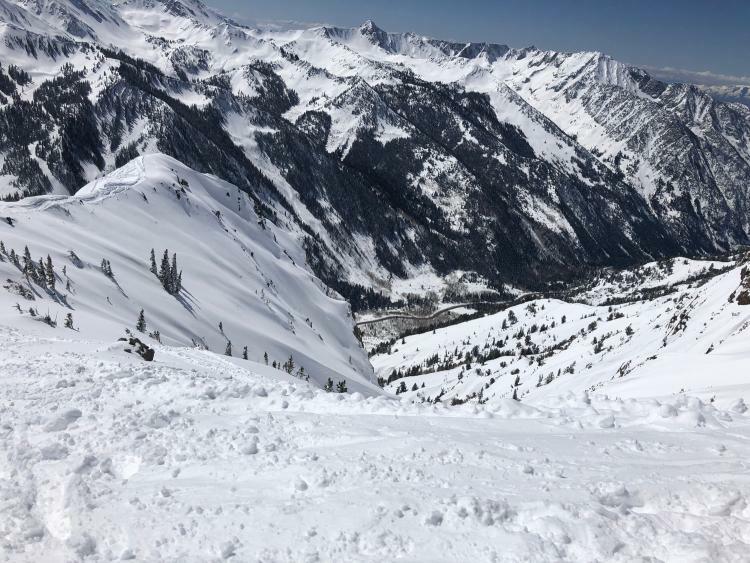 I did all of this in the context of relevant discussions on this forum, between petty bickering, about skier deaths and risk in the mountains. At the confluence of all of those things I started to think about what it all meant, and how it impacted my life, and likely will moving forward. I’m no “outdoor enthusiast”. Heck, I’m nothing more than a fifty one year old nobody, probably in the middle of some cliche midlife crisis, lucky to squeeze out more than a baker’s dozen days a season on the snow, albeit some of them in pretty spectacular places. Yet, I find myself here, damned if I’m not writing one of “those pieces”, you guys probably rolling your eyes at me. However, as corny as it may sound, my experience on the boot pack to the top of Superior may become one of my handful of defining moments that most of us as human beings get to experience. A moment that puts past experiences into perspective, and shapes futures. For a day that started like almost a dozen others....gearing up, meeting guides and partners at a trailhead, donning skins and taking off for distant powder turns....this one held much more for me. No, there were no dramatic “elements” to overcome. No fierce winds, blinding snows, or other such obstacles. 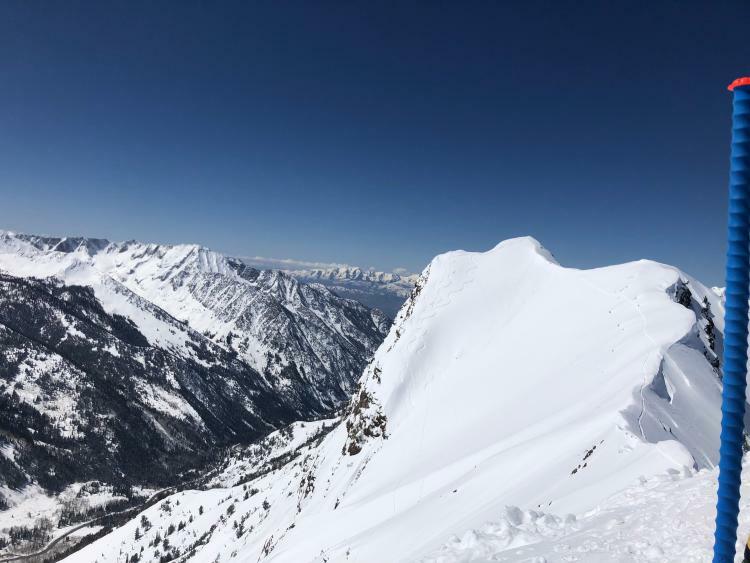 Just a calm, bluebird day in Little Cottonwood Canyon where it literally did become me against myself, against Mount Superior. In the end I feel like I achieved a fairly special feat. 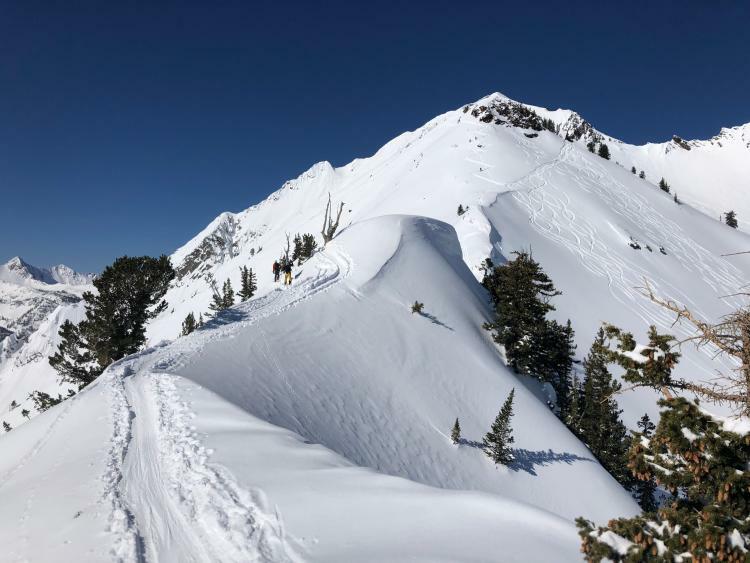 17,000 people have entered the Wasatch backcountry so far this season, but only hundreds of those will attempt the Superior summit each year. I feel I’ve also learned a lot about myself, most of it good. So, for more than just the skiing I’ll share now, I feel like I won, like I’ve grown....and I think I will be a better person for the experience. 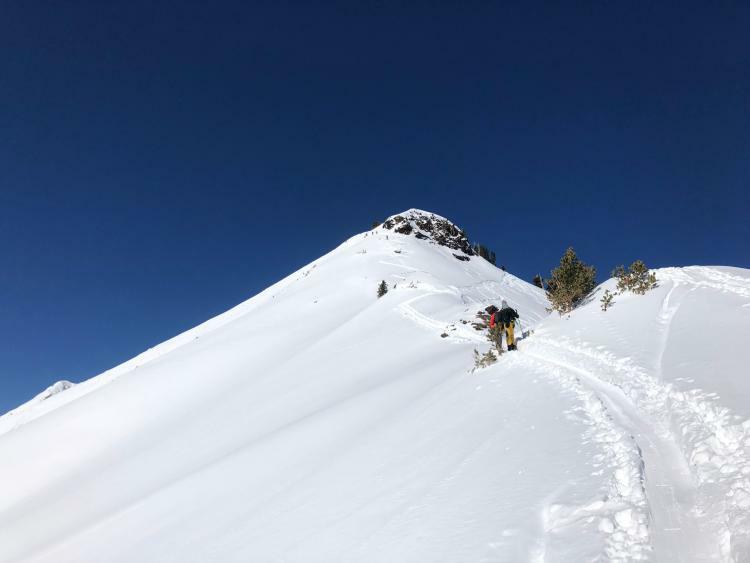 On one hand it seems amazing that something as seemingly simple as a day in the mountains can do that for a person, but ultimately....isn’t that possibility part of the reason we seek both the solitude and exhilaration of the mountains? Maybe. Maybe. Does all of that mean that I’m going to search out more such experiences? No, it doesn’t. As we throw around terms like “risk” I realize there was no real need for me to place myself in that situation. No need at all, I don’t think? The mind over matter narrative in my story, my mental struggle, my moment of perseverance and fortitude, happened in a relative instant, although it felt like forever on the side of that mountain. However, I know for sure that the brief moment will stay with me forever, and shape who I become from here. In my midlife skiing “crisis” I’ve had the good fortune to tackle the most difficult slopes with an Olympian, to seek out untracked powder with men who have summited Everest and bagged first ski descents on Denali, to test myself against conditions that turned most ski parties back, and to seek out and ski endless untracked powder in remote places that 99.99%+ of the world’s population will never see. For a relatively insignificant man, I’ve been very blessed, and so lucky. Will I continue to ski hard and feed my powder addiction? Yeah, I will....but I’ve learned that I’ll be content with more conservative days of mellower skinning and untracked powder, happy to leave things like the boot pack to Superior to other humans and their search to learning something about themselves, even if they don’t know that’s what’s happening. Even in bounds, because I’m still going to take my trips, God willing, I’ll be happy to dial back my search for ever more difficult lines on the mountain, relative to my skill level, which isn’t bad. I’ll still ski hard, and steep, but the occasions of being an edge slip or misstep from death? No, not any more. All the talk of risk makes me wonder why I ever put myself in such places....but it made me who I am, so no regrets. I’ve had my time to come, and see, and conquer, but such things are a younger man’s game, and I kind of just realized I’m ok with that. Thanks for listening to my story. So, I guess you guys want to know about the skiing? Fantastic report!!! and great pics! I totally got what you said about focus on the knife ridge..
My defining moment, that I might die while in the mountains was climbing on Disappointment Cleaver on Mt Rainer. Nothing like a 50mph wind and 1000 ft of nothing off to your side at 2am.. If you guys have never checked out Cody Townsend’s The FIFTY, you should. It’s pretty rad. This is Episode 2, Mount Superior. We didn’t go anywhere near the South Face given the time of year and the temps, but the approach to the North Face is the same. Not the most extreme thing in the world, not even close, but it tested me. Thanks. Wasn’t sure how the format would come off, trying to put you in my boots in those moments on the ridge, while at the same time narrating my perspectives and takeaways from the experience. Where's the chairlift? Must have gotten cropped off. Just kiddin! Nice first part to the story and looking forward to part 2! That’s a classic tour from Alta. Good work! Epic Self discovery episodes at midlife are one of the finest AH HA moments one experiences . Simplicity , overcoming one's own doubt and yeah fear makes this short trip ( LIFE ) worth it .Perspective baby , perspective ! I am curious to hear what skiing the other side was like. As I always try to do on the couple of west coast trips I’ve been taking each year, I wanted to get a day in the backcountry. Even though I’ve gained some good experience over the past five years and would have ventured into Grizzly Gulch or up Patsy Marley on my own if I had to, I still prefer going out with a guide. Bigger days, better snow, and increased safety, both in experience and numbers. The thing I don’t like doing anymore is going with a private guide. Rather than spend that kind of dough I’d be willing to venture forth in very conservative terrain on my own. So, I’ve taken to looking for scheduled group tours. 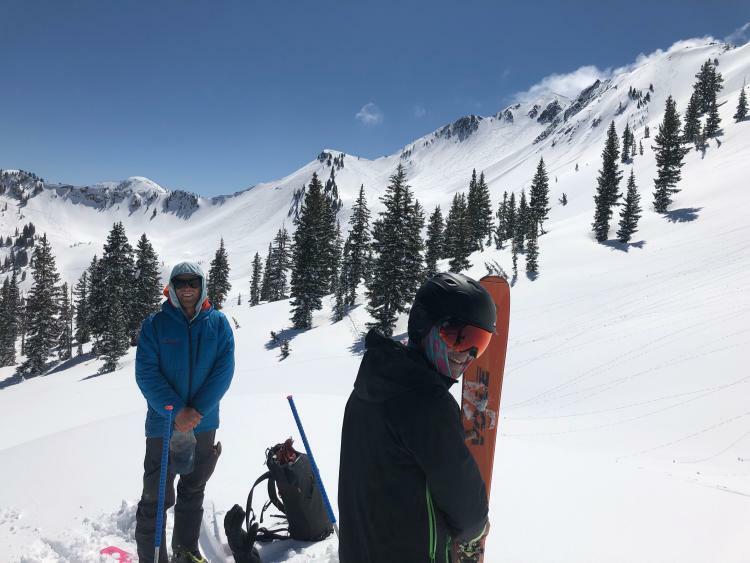 Between three outfits operating in the Alta/Bird area there was only one with a scheduled group outing, but it was a two day Intro to Backcountry and Avalanche Skills course with Utah Mountain Adventures. I didn’t want to commit two days, and as it turns out, Shawn (my ski partner on Sunday) had taken the course and told me I’d have been bored on day one given my level of experience. So, what to do? I emailed all three outfits to see if they had any groups going out that I might join. Two of the outfits said sorry, no...but we can do a private. Utah Mountain Adventures said they had a guy going out over the weekend, and they’d see if he was interested in partnering up. So I waited. By Wednesday night they said sorry, Shawn might not be in Utah for the weekend....but we can do a private. No thanks, and I boarded the plane Friday with no concrete plan. Anyone who’s read my lengthy trip report may know that the weather Thursday into Friday was quite different than the forecast. What was forecast to be 3-6 inches of snow turned into 23. With that, Shawn was now coming to Utah. Turns out he was in the midst of a week long ski trip. 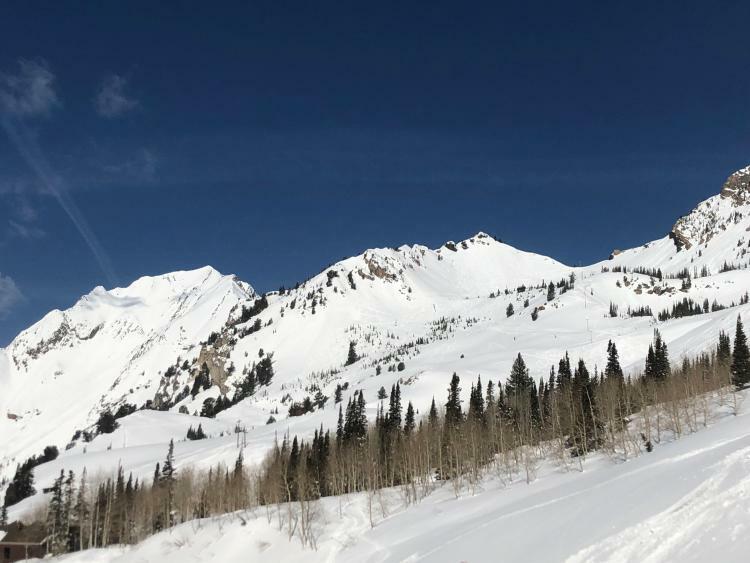 He’d been at SnowBasin and Alta earlier in the week, then chased powder up at Jackson Hole and Big Sky for a few days, and when the Thursday storm over delivered for LCC he decided to drive back to Utah. When I took my phone out of airplane mode after my Friday flight I had an email waiting...was a still interested in partnering up for Sunday? Hells, yeah...it was on! The timing was perfect. A full on powder day Saturday inbounds at Alta as the gates that didn’t open Friday dropped, followed by a Sunday in the backcountry. Given that temps up high weren’t forecast to get above freezing Sunday, combined with a plethora of N/NE facing options, I was excited. A few emails and phone calls later and all the paperwork was done and I’d spoken to Colby, our guide for the day. We really didn’t talk much, but the general plan was that Colby and Shawn would meet down canyon, leave a shuttle car at the base of BCC, then meet me in the Alta Lodge lot around 8am. Colby mentioned heading up PowerLine and working our way to Cardiac and into BCC, from where we’d work N/NE facing terrain over the drainages down to BCC road. He didn’t really mention the Superior summit, and I didn’t ask questions, and you now know how that turned out. So, we met Sunday around 8:15, and after the a brief safety discussion and beacon check we were in our way toward PowerLine at 8:30. Not exactly dawn patrol, but early enough.